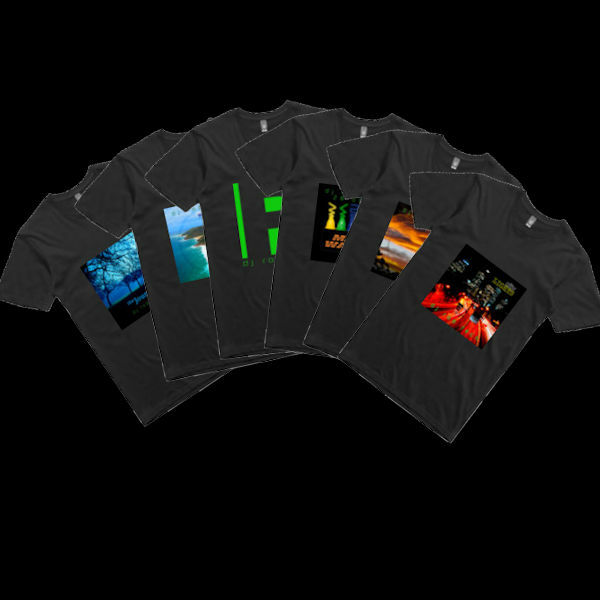 A selection of t-shirts featuring album cover art and logos. Printed in Australia using direct-to-garment technology. Men's and women's sizes and styles available. 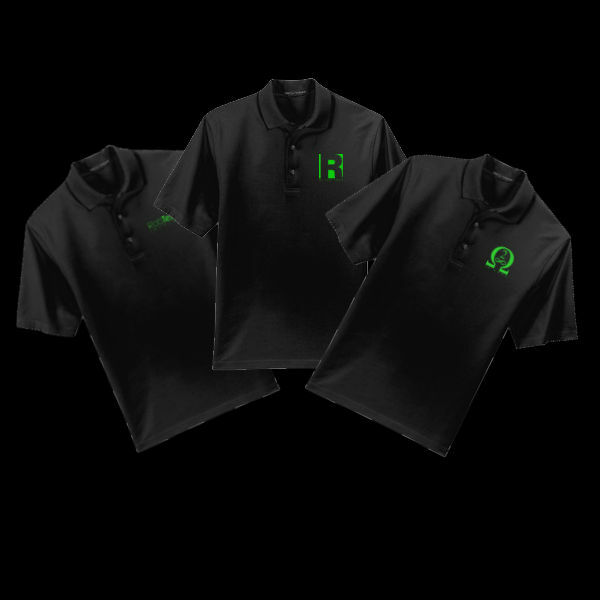 A selection of polo shirts with logos printed over the pocket area. Printed in Australia using direct-to-garment printing technology.